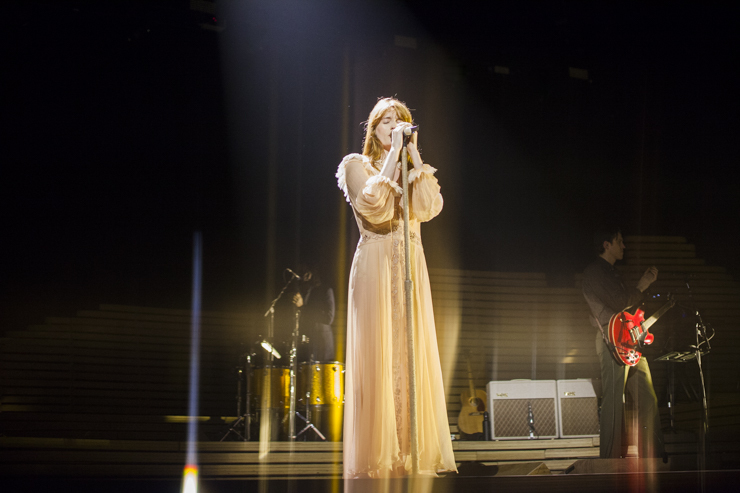 After opening for The Rolling Stones back in May, Florence + The Machine released their fourth studio album ‘High As Hope’ this summer. 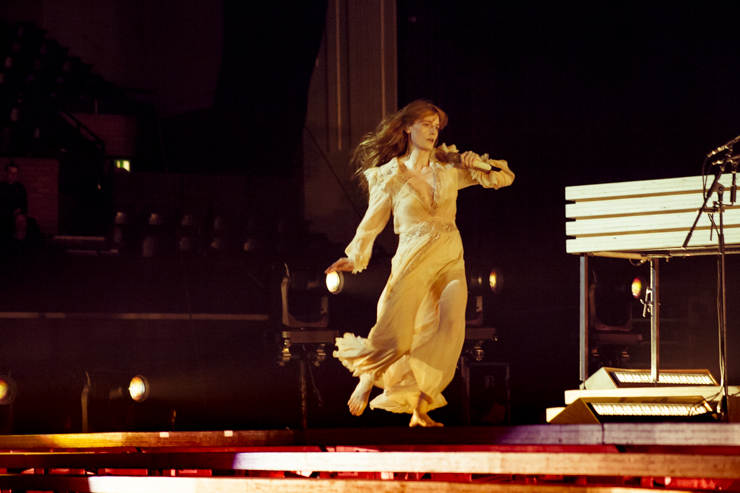 After seeing them perform tonight, we’re not surprised they sold out the Brighton Centre. 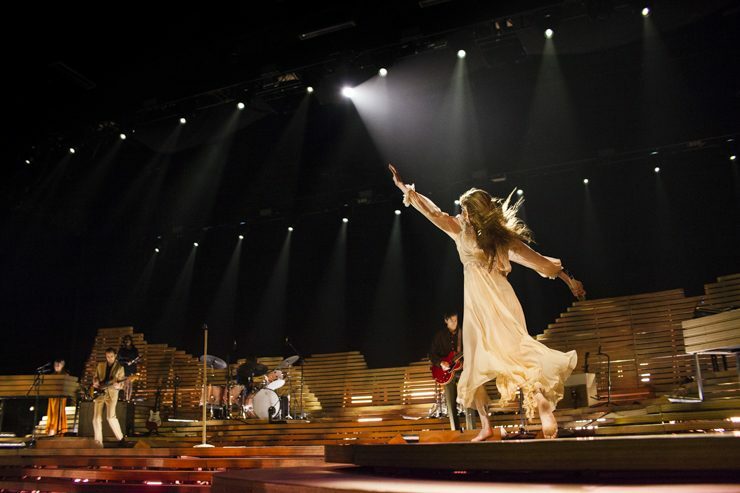 Besides the outstanding, flawless performance of Florence + The (well oiled) Machine, this concert was also a bit of a healing session. 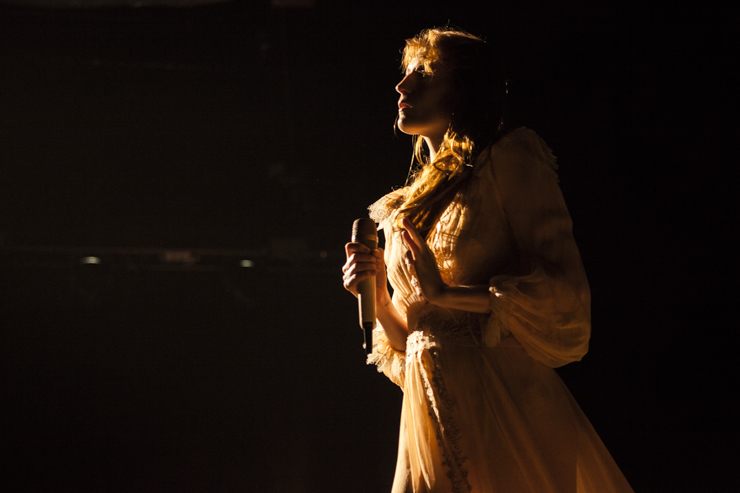 Florence somehow managed to convince most of the audience to hold hands and hug each other, say “I love you” to complete strangers, and put their phones away to experience an entire song without a single peek at their attention-sucking devices. 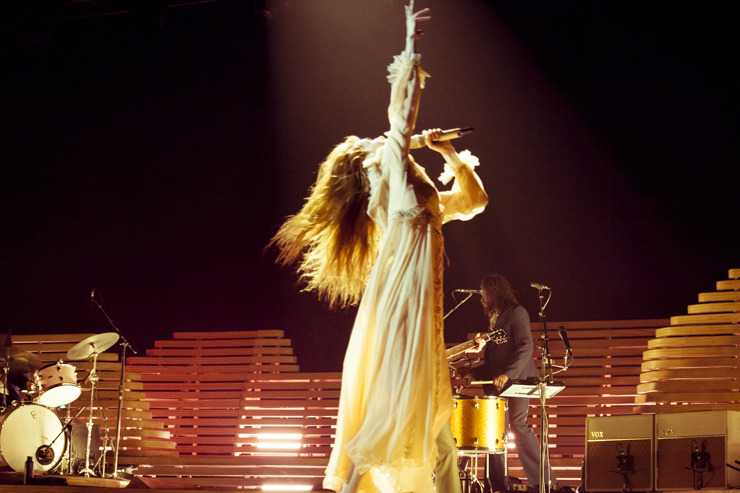 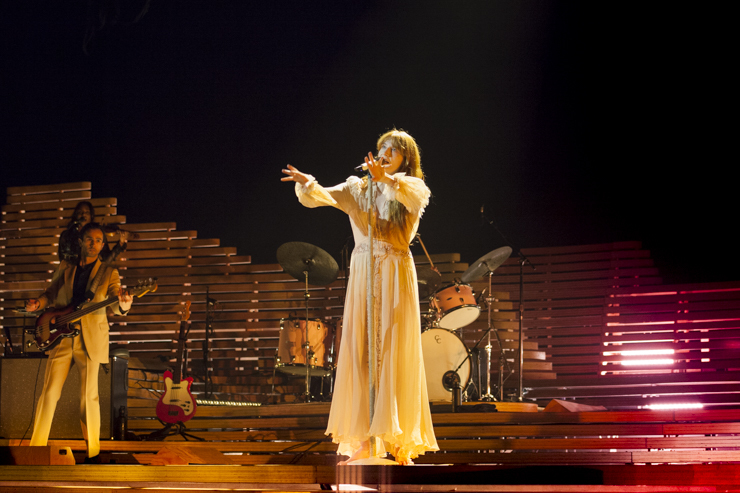 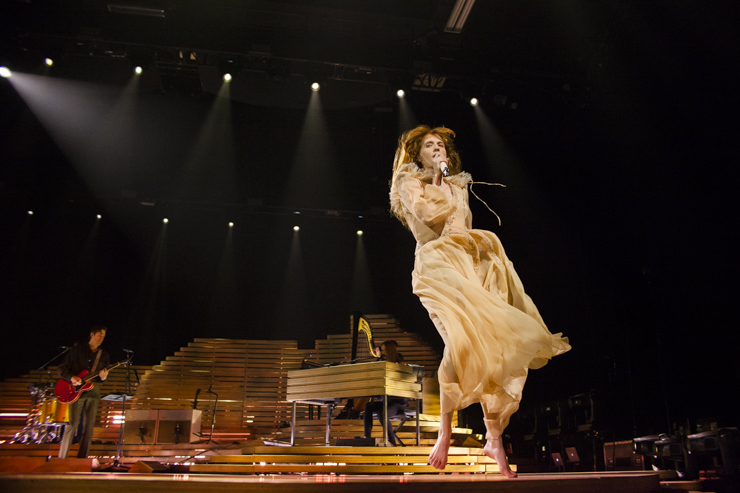 With convincing, soulful dance moves and a beautiful stage set-up that looked like a wrecked ship (very on-brand), you wouldn’t necessarily have needed to be a fan of the music to appreciate Florence’s performance tonight. 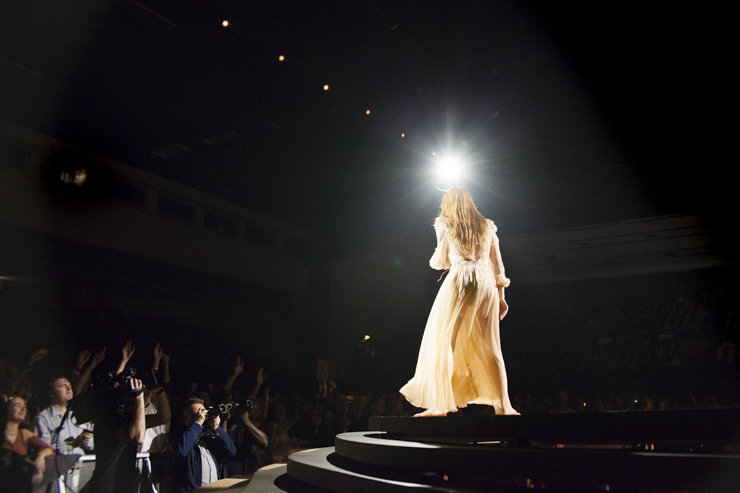 Although she admitted to being extremely nervous whenever she needed to speak, Florence overcame her anxiety and spent a good amount of time describing the stories behind some of her songs, telling us how Nick Cave and Patti Smith continue to inspire her and referring to her first ever show in Brighton at The Great Escape about 10 years ago. 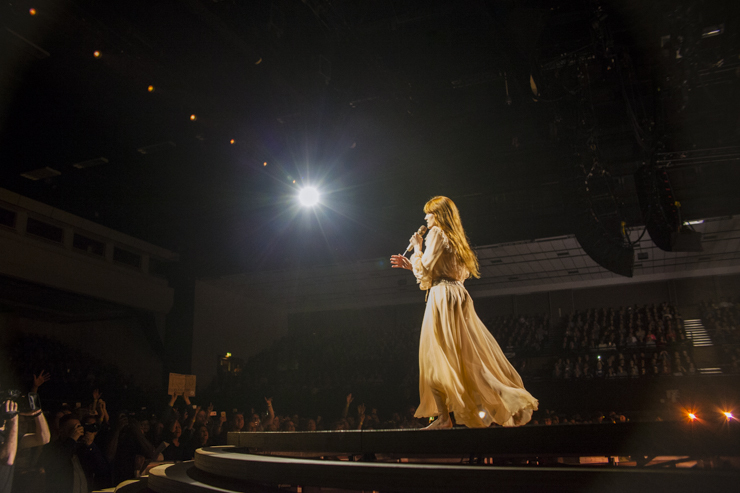 Leading up to the encore with the song ‘Delilah’, Florence revealed her Nick Cave influences when singing to her fans whilst standing on the barricade: first holding their hands, then hugging them and eventually moving in and through the crowd until she covered the entire venue side to side – giving everyone a chance to interact and see her up close. 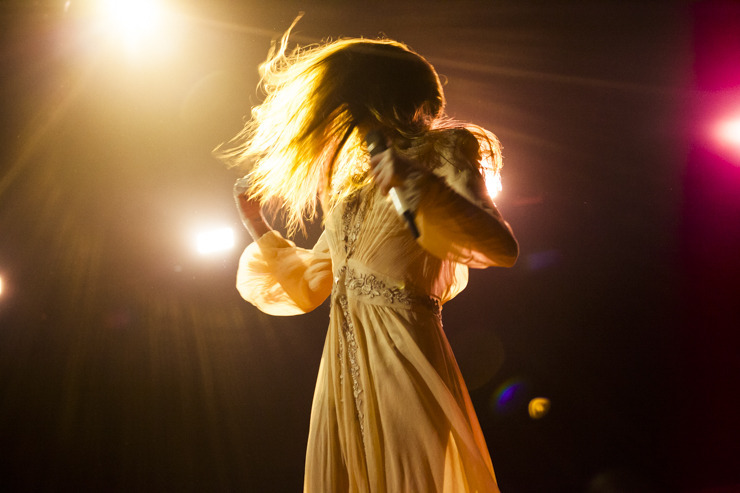 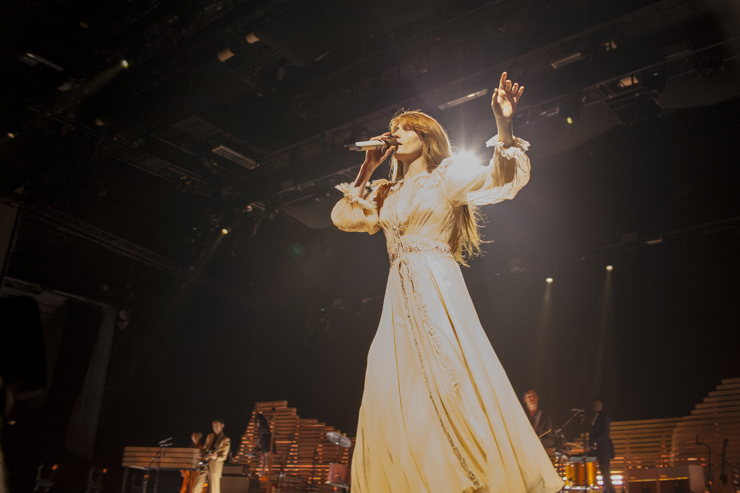 It’s safe to say that Florence + The Machine will probably sell out their next Brighton show as well – whenever this may be. 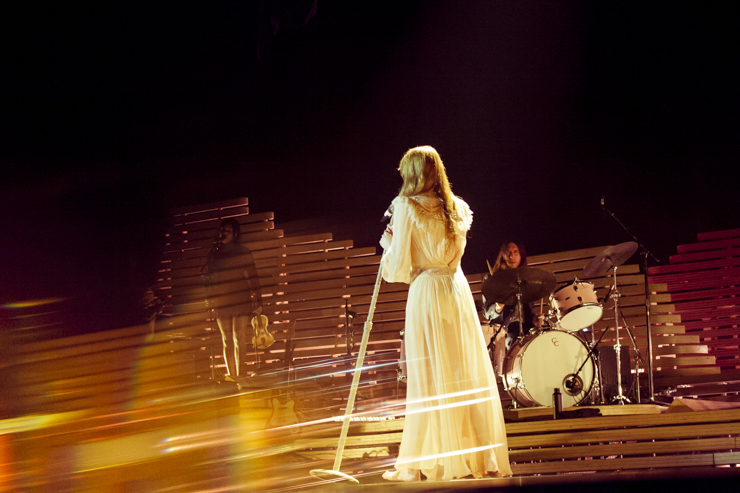 All we can say is get in there fast, it’s worth it.